When your first name is “Breezy” and your occupation is “ski racer” the automatic assumption is that you were thus nicknamed after establishing a reputation for speeding down ski slopes in a blur. 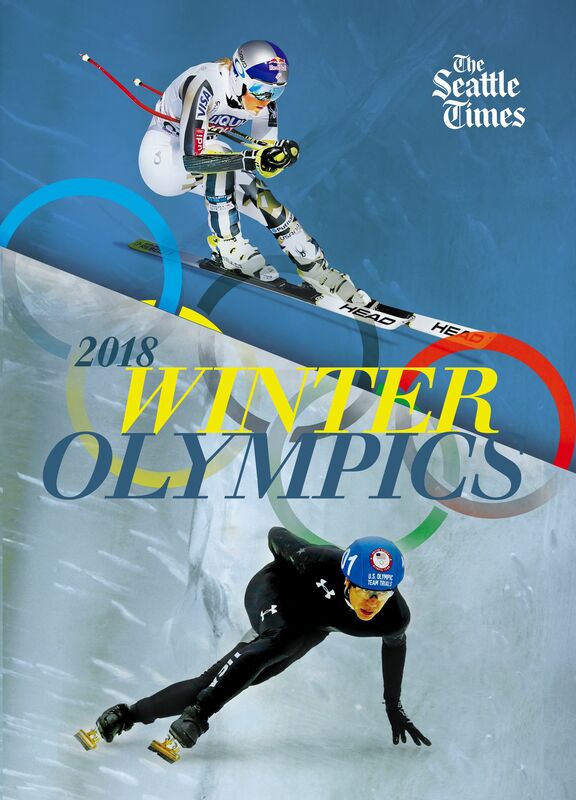 Breezing past the competition is, of course, what Breezy Johnson hopes to get to do at the Pyeongchang Olympics, where the 22-year-old Western Washington University student participated in opening ceremonies with Team USA on Friday. 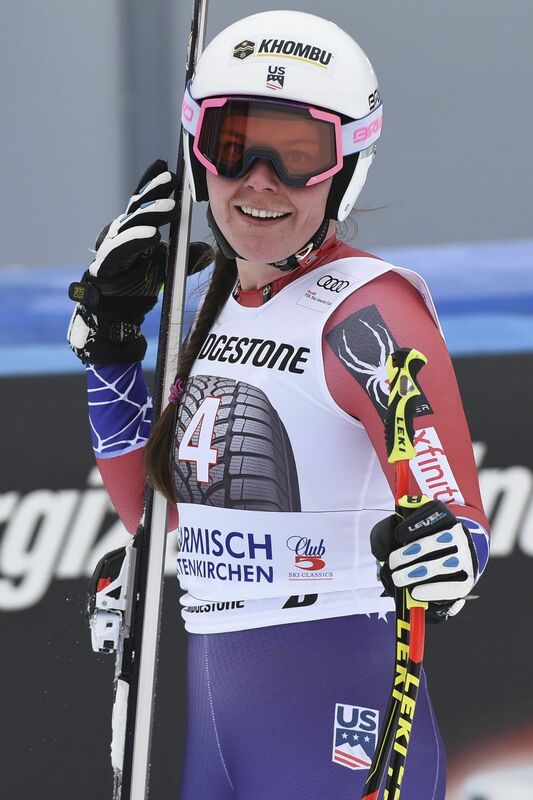 It’s Johnson’s first Olympics, and she’s coming off a strong performance last Saturday, where she pulled out a career-best fourth place finish at a World Cup downhill race in Garmisch-Partenkirchen, coming in just behind champion Lindsey Vonn, Austrian Cornelia Huetter and Italian Sofia Goggia. Now that she’s made her first Olympic team, Johnson hopes to next be selected as one of the four women who will represent Team USA in the downhill skiing race on Feb. 21. Eight women made the U.S. team that’s in Pyeongchang for the Olympics, and through training runs and intra-squad qualification trials over the next week, coaches will select the top four U.S. women who will compete in the downhill race. Speed racer that she is, Johnson likes her chances of being selected for the downhill race, and she also has an outside shot at being selected to race in the Super-G (super giant slalom) race on Feb. 17. But first, since we’re on the subject, Breezy Johnson would like to make it known that she did not become “Breezy” because of her ski racing ability. So why would a parent name their child Breezy? Wishful hopes for a self-fulfilling prophecy? Not exactly, says Johnson’s mother, Heather Noble. When Breezy started skiing, it quickly became apparent that the kid was going to live up to her name. The family spent much of their time skiing at Grand Targhee, a ski resort about 20 miles from their home in Victor, Idaho. Even though kids don’t usually ski in speed races till they’re about 12, Breezy and her older brother, Finn, grew up chasing each other down the mountains at their home resort. Did Breezy ever beat her brother? By the time Breezy started skiing in speed races, Noble was accustomed to watching her fly down the slopes. “What it reminded me of was her chasing her brother down the ski area at five or six years old,” Noble says. Johnson recalls wanting to be a ski racer from her kindergarten days on. She was serious about it, too. So serious that her intensity alarmed some of her youth ski coaches. At age 13, Johnson moved from Victor, Idaho to Salt Lake City, Utah to enroll at the Rowmark Ski Academy. She graduated from high school there in 2013, and the following year, Johnson made the U.S. national ski team for the first time. Her career’s been on an uphill trajectory ever since – save the unforeseen hurdle she encountered last March. Johnson was racing in the World Cup finals in Aspen, Colo., when she crashed in the last turn of the course, catching an edge of her skis and ending up in an ungainly split. “I tumbled and fell and there was pain everywhere, and I couldn’t figure out what was what,” Johnson said. But as she came to a stop and forced herself to stand up, Johnson calmed down, realizing that while she was in pain, everything was still working. She shook off the ski patrol’s help and stubbornly skied to the bottom of the hill, where she was met by the team doctor. Johnson was eventually diagnosed with a tibial plateau fracture, the same injury Vonn suffered in 2016. Given the way she’d wiped out, and the initial suspicion that she had torn her ACL, this was relatively minor. Johnson spent the spring hobbling around WWU’s campus on crutches. An English major, she’s taken classes at WWU for the last two spring quarters, but spends the rest of the year racing. Johnson says she picked WWU for college because she’s always felt an affinity to the Pacific Northwest, and considers Whistler Mountain – a 3.5-hour drive away from WWU’s Bellingham campus – one of her favorite places in the world to ski. Four months after her injury, in July last year, Johnson was cleared to ski again and resumed training to make the Olympic team. Making the team was a big milestone, Johnson says. But she hopes it’s one she’ll ultimately look back on as the prologue to a long career. Johnson grew up idolizing five-time Olympian and six-time Olympic medalist Bode Miller, and four-time Croatian Olympic gold medalist Janica Kostelic. From following their careers, she knows it generally takes a while for ski racers to hit their peak. Miller and Kostelic both made their Olympic debuts at the 1998 Nagano Olympics, but did not medal till the following cycle, at the 2002 Salt Lake City Olympics. Oh, and by the way, “Breezy” is no longer just a nickname. The Johnsons legally changed their daughter’s name from “Breanna” to “Breezy” right before she finished high school. By that point, the kid had already built up a reputation in ski racing circles as “Breezy Johnson.” So it made sense to formally give her the name that she’d proved she could live up to. So remember the name: Breezy Johnson, ski racer. If things go Johnson’s way, you might be hearing it for years to come.